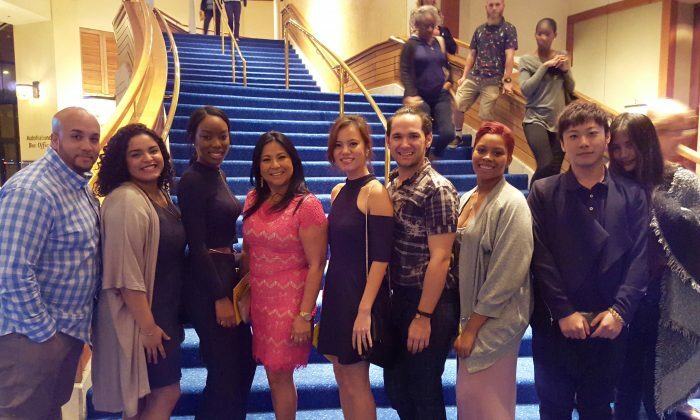 FORT LAUDERDALE, Fla.— An inspired group of students from Johnson and Whales University—each moved by Shen Yun Performing Arts’ passion for culture—shared how the company’s Jan. 8, opening-night performance at the Broward Center expanded their minds and moved their hearts. “You could feel the passion in the way that they dance,” Christopher Reyes said of the New York-based company. You kind of zone in so much—even if you try looking away, you can’t. “It’s so enticing—I was happy, I was sad, I was excited,” Mr. Reyes said. Ms. Alvarez and Mr. Reyes both study business management at the university. But what they were moved by this evening was classical Chinese dance. “Classical Chinese dance is rich with expressive power. Through expression of bearing and form, beautiful dance movements bring out the inner meaning of intrinsic thoughts and feelings, reflecting the peculiarities of human nature, the standard for human conduct, moral concepts, mental state, one’s value system, and so on,” says the Shen Yun website. James McAlvanah, who was also part of group, studies fashion merchandising at Johnson and Whales, but he has also spent time reading about Taoism. Tonight, Shen Yun’s songs made Mr. McAlvanah think about the Tao. And he noticed how the Shen Yun dancers seemed to also articulate this element into their movements, like ethereal beings. He mentioned the dances “Fairies of the Sea,” “Celebrating the Divine” and “Drums of the Grassland” as striking. “There was just something about them that was really spectacular,” he said. Shen Yun brings to life ancient legends and tales, along with modern heroic stories, all together incorporating 5,000 years of Chinese history and culture. Ms. Alvarez said Shen Yun opened her mind—the fact that it also entertained made her focus her mind on learning about the culture. She was touched by the final piece, “Hope for the Future,” which is set in modern-day China, yet discusses a traditional Chinese thought: We all came from the heavens, and by being good, we can return to our home in the heavens. Ms. Alvarez felt the message was about the rewards of perseverance. Of the dance, she said that while there were no words, there was no confusion—it could expand and connect with you. Shen Yun Performing Arts New York Company will offer two performances on Jan. 9 and a final Fort Lauderdale performance on Jan. 10, all at the Au-Rene Theatre, Broward Center for the Performing Arts.